One of my favorite Canfield Casino wedding photos of, well at least the last decade, is this one. It features the bride and groom having their last dance of the evening. Their family and friends encircle them, allowing them to be alone together … with everyone else in the room. I love this photo for the way it speaks to the connection that the friends and family feel for the bride and groom. I also love the way my lighting keeps true to the feeling inside the ballroom. Often you will see photographers only use the poor, limited natural light at night in the ballroom. Technology certainly makes it possible to physically make a photograph in these conditions. But the quality of the light yields flat, muddy, yellowish images. Also, many photographers will light up the reception venue so much with plain, bright, white, flat light that the resulting wedding photos look nothing like your wedding looked. The historic venue itself is one of the top wedding venues in Saratoga Springs. And in my opinion is one of the top wedding venues anywhere. The many vintage details include the historic mahogany bar and the woodwork in the library and all over the venue, to the ceilings … ceilings like no other. The dramatic barrel vaulted ceiling in the main ballroom is one of a kind. The detail and the colors stand out, creating a beautiful backdrop in wedding photos. The details which adorn the surrounding walls in the ballroom complete the effect. And outdoors too. The Casino building borders Congress Park in downtown Saratoga Springs which is a favorite Saratoga wedding photo location. The details outside of the building also lend themselves to great wedding photos in Saratoga. The city has taken pride in keeping the historic building in great shape, both inside and out. So please peruse more of my website to see more great Canfield Casino wedding photos. A bit of history: The building has not operated as a casino since 1907. Before that time it was referred to as the Saratoga Clubhouse, maybe to appeal to more genteel sensibilities. The owners invested a lot of money into the building and the grounds, making it a top Saratoga destination which they hoped would rival some of the old world society destinations of Europe. The name Canfield casino still sticks with us to this day even though there has been no gambling here for over a century. I’ve worked in all of the top Saratoga wedding venues as a Saratoga wedding photographer. 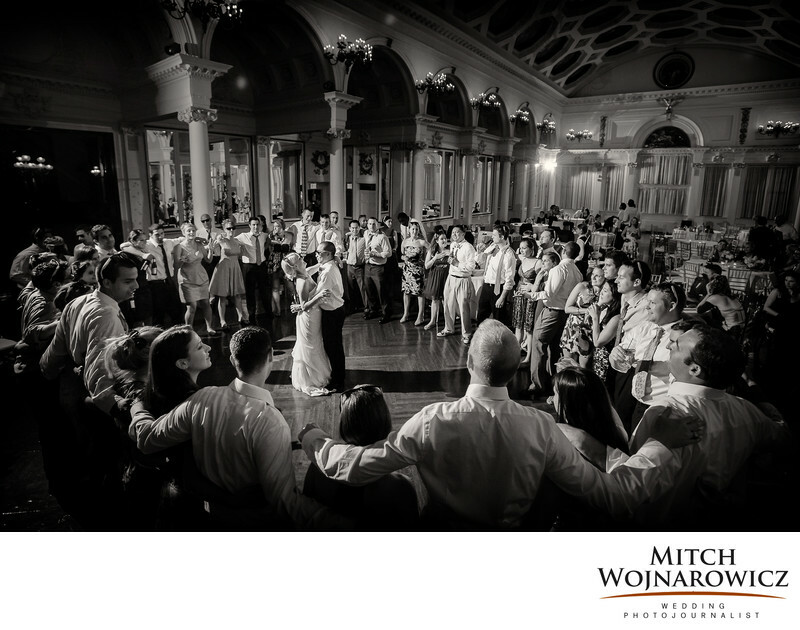 If you’d like to speak with me about your Saratoga Springs wedding, I can show you many more Canfield Casino wedding photos, as well as photos from many of the other best Saratoga wedding venues. With decades of experience as a wedding photographer, I have a deep experience with, and collections of photos from, wedding venues all over the city. How About We Speak About Your Wedding? You Can Contact Me At This Link and we can arrange a time for a phone call or we can exchange and email or three. With my years of experience, I can offer you lots of insights and help in clarifying exactly what you’d like in a wedding photographer. After all, I’ve done this hundreds of times and for every single new potential client that I encounter, I love sharing my knowledge.